Yttrium barium copper oxide, often abbreviated YBCO, is a crystalline chemical compound with the formula YBa2Cu3O7. 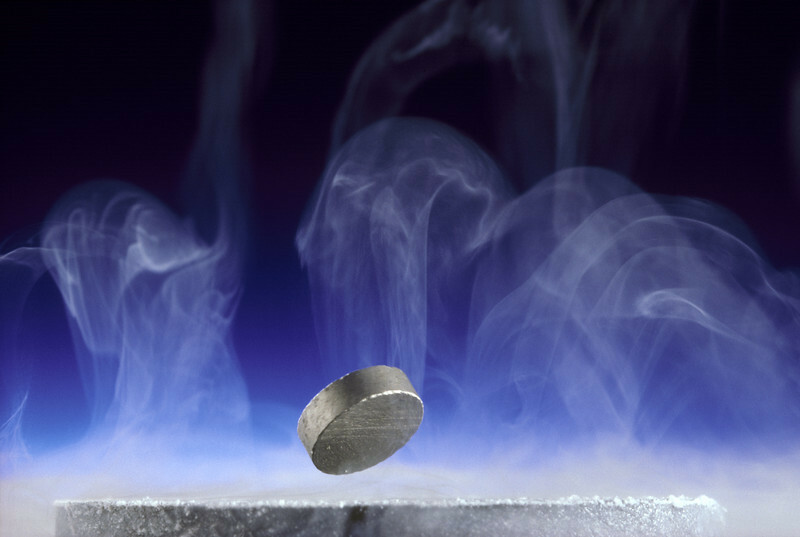 This material, a famous "high-temperature superconductor", achieved prominence because it was the first material to achieve superconductivity above the boiling point of nitrogen. YBCO was the first material to become superconducting above 77 K, the boiling point of nitrogen. All materials developed before 1986 became superconducting only at temperatures near the boiling points of liquid helium or liquid hydrogen (Tb = 20.28 K) - the highest being Nb3Ge at 23 K. The significance of the discovery of YBCO is the much lower cost of the refrigerant used to cool the material to below the critical temperature.